This is one of those dishes I've been making forever but never measured the ingredients to write a recipe. Enough people have asked me for it that I decided I would measure everything the next time I made them... which was today. I don't always season them the exact same way but I DO always use rosemary and garlic. Mainly because I have a rosemary bush big enough hang five strands of lights on and call it a Christmas tree. Husband has been begging me to cut it down for years but I just can't seem to do it. I secretly imagine there's a whole colony of fairies that live in it. Don't tell anybody. These things are crispy like french fries but they're baked! 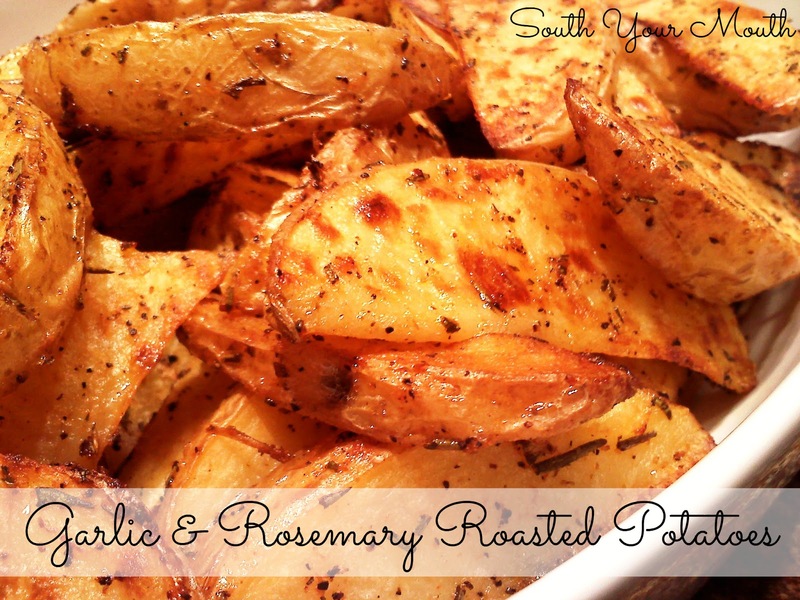 And bursting with flavor from the garlic and rosemary! Wash potatoes and cut into wedges (8-12 wedges per potato depending on size). Toss potatoes thoroughly with olive oil and remaining ingredients. Spray a very large baking sheet or two cookie sheets with cooking spray. Arrange potatoes so that each wedge is laying flat on the pan. Bake at 400 degrees for 20 minutes then turn potatoes with a spatula. Cook for an additional 12-15 or until golden brown (reduce cooking times a little if you're using small potatoes). These look so crunchy. Just the way I like potatoes! I think they're evergreen. I don't do anything to it. I don't even water it! It's the fairies.